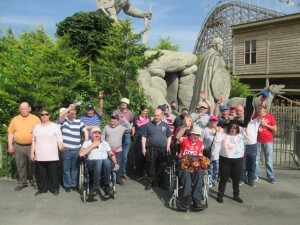 St Cronan’s Association’s Red Group Clients enjoying time in the sun on their weekend away at the Cuisle Holiday Centre, Donamon, Co Roscommon. 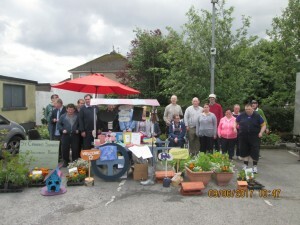 This year the Red Group of St Cronans Services chose to create a market stall as a project, the idea behind this was to allow the community to see some of the great work that the service users produce. 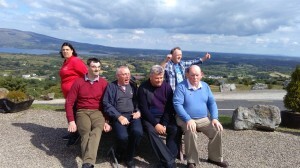 This took place at the local farmers market at Scart, Roscrea. Items for sale included vegtable plants, flowers grown in the center garden, hanging baskets and flower tubs. Crafts included fairy houses picture frames, key holders, memo boards amongst many other items. The market stall proved to be a great success with a lot of support from the local community.